This Montessori toddler classroom does not seem like Montessori! 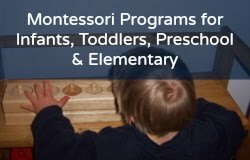 I have been a substitute teacher in the Montessori toddler classroom.... From the brief information I've read about Montessori and the few observations I have done, this school does not seem like Montessori at all! Can you please shed some light on what I am supposed to be seeing? The classroom is full of Montessori materials, yet they only spend about 30 minutes doing "work" in the morning. Toddler work period: typically around 45 minutes, once in the early morning, and again in the late morning before lunch or circle time (so two 45 minute work periods). The children are two to three years old. First of all, there seems to be a lot of confusion on who the teacher is. There are two groups of toddlers who each start off with a teacher. I worked in a Montessori preschool class once that had 36 children: two head teachers and one assistant (not typical but it was Montessori). After lunch, the rooms combine and one of the teachers leaves. In the afternoon, three different assistant teachers come in and out and replace the teacher or assistant. Usually traditional Montessori toddler programs are only half day, for this reason, too many staff changes. Sounds like they offer a daycare or after-school program which is play-based. Some children can handle this, some cannot. Threes probably would do OK. The entire day is spent telling them "get down from there!" "don't touch that" "stay off of >the grass!" "sit down on the rug" "line up at the door!" Might be there are too many children and the staff gets overwhelmed. Typically the director of the school is in charge of discipline issues and guides the teachers and assistants in how to talk and not talk to the children... also because a parent coming in early or late can over hear and complain. There is constant circle time where the children are forced to sit, and about half of them refuse to and just wander around in circles and the rest don't listen while the teacher tries to teach them the days of the week or the numbers (an example). 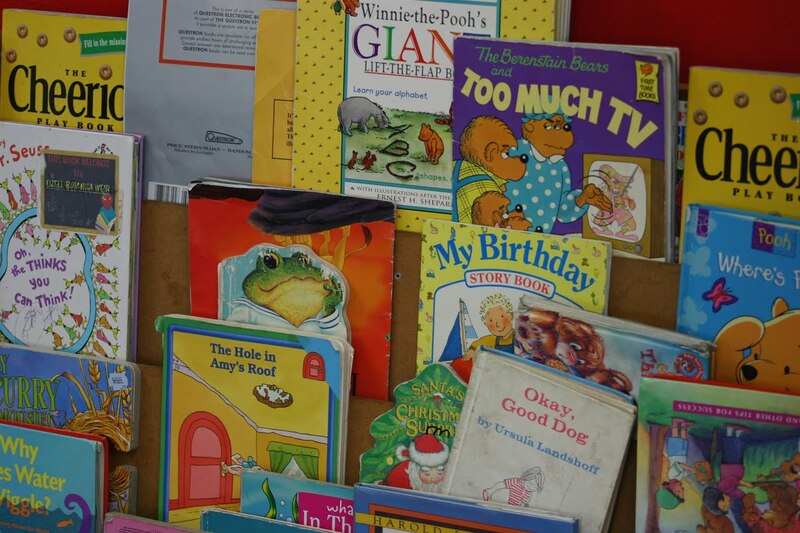 The teacher tries to read the same set of books for circle time about four times a day. Maria Montessori did not invent or incorporate circle time in her training. But many schools use it. Usually circle time is before the children go home or eat lunch, and only once in the morning/late morning. During meal times, the children sit and the food is served to them. They take no part in doing anything for themselves. Sounds like traditional play-based daycare. Unfortunately, the Montessori trained teacher does not eat lunch with the children and leaves. At our school all the teachers sat with the children and ate, even the director! (OK, maybe one teacher ran out to the deli to get lunch.) But that is not the exception. Lunch can become a free-for-all unfortunately, unless the teacher is there. In the morning and afternoon they are given regular toys to play with because this is not "school" time. Some Montessori schools offer before and after care, for the benefit of working parents (and to pay the bills!). It's not unusual to see toys, but not ideal. At our school, we phased them all out after a few years! The lead teachers all received their Montessori training through distance learning programs online. Unfortunately this does not give them the opportunity to work in a Montessori classroom while they train and learn from an experienced teacher like traditional Montessori training where you intern for a year before you get your certificate. The assistants haven't all gone through Montessori training. Assistants in Montessori classrooms are almost never Montessori trained. They typically don't give Montessori lessons or lead circle/group time either. Over all it sounds like a daycare trying to be a Montessori school with a director who is not very involved or if she is, is overwhelmed and burnt out. And they probably have too many children over all. It's good for you to see what is and is not the ideal Montessori school! In my training (and after wards when I looked for various Montessori teacher jobs) I saw so many different styles--it got worse when I looked at Montessori 6-9 classrooms! This is why I stayed for over twenty years at the same Montessori school, nothing could compare! Keep you eyes open for other Montessori schools, compare and contrast, this one does not sound like a good fit for you over the long run! You may also be interested in my affordable online Montessori and homeschool programs and PDFs for birth to age nine at Montessori for the Earth.